Quilting weight fabric. 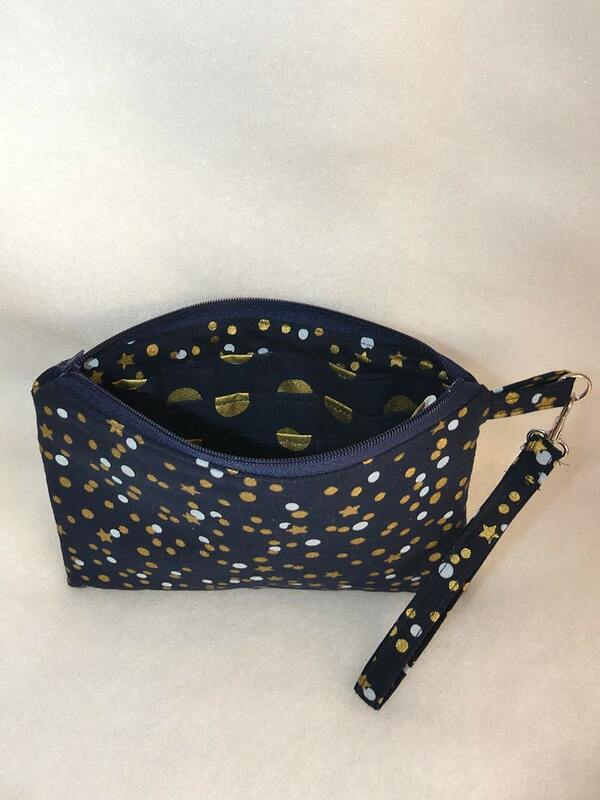 Navy with gold stars print with toning lining fabrics. Zip top. Eight card slots. Divider so things stay put. Detachable wrist strap. 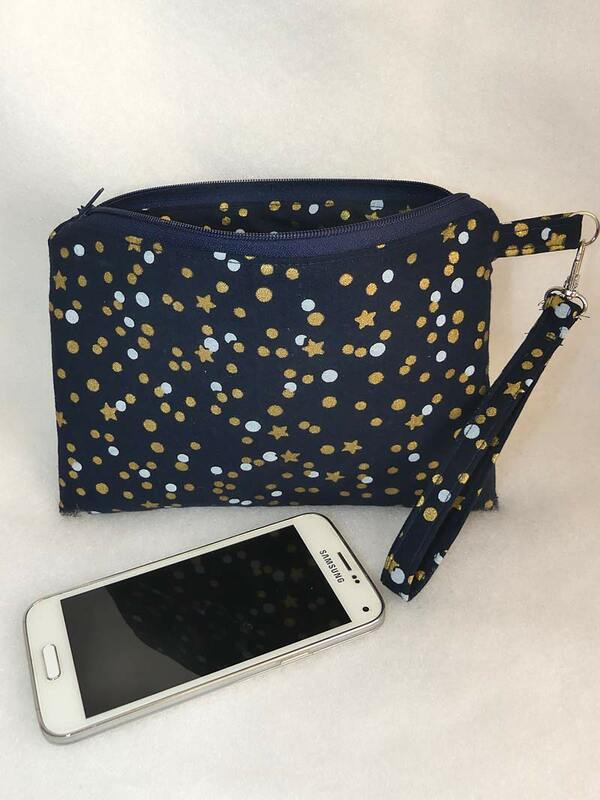 Will take phone, keys etc for an evening out or maybe keep it in a larger bag to make items easier to find? 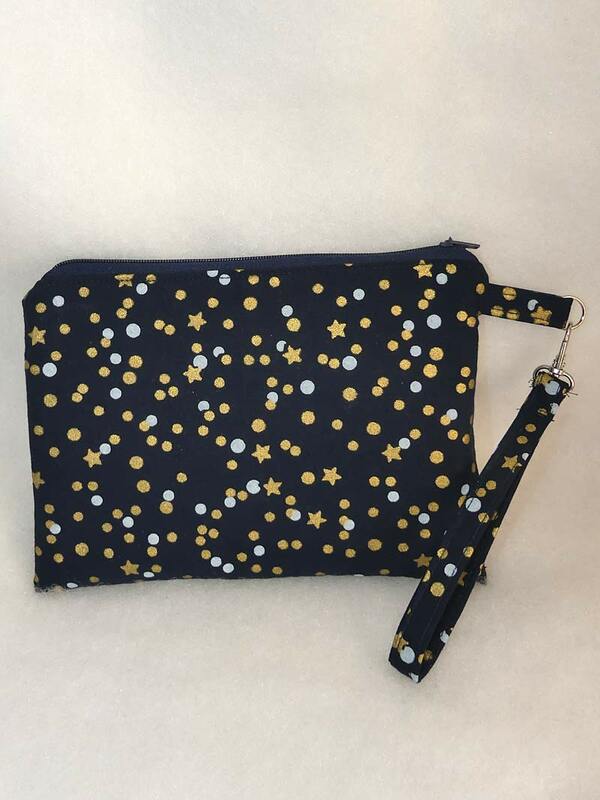 Could be used as a large purse. Ideal as a gift or treat yourself!